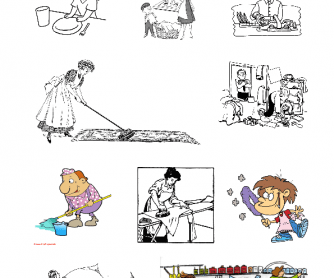 This 2-pages long worksheet was created to introduce the vocabulary connected with household chores. 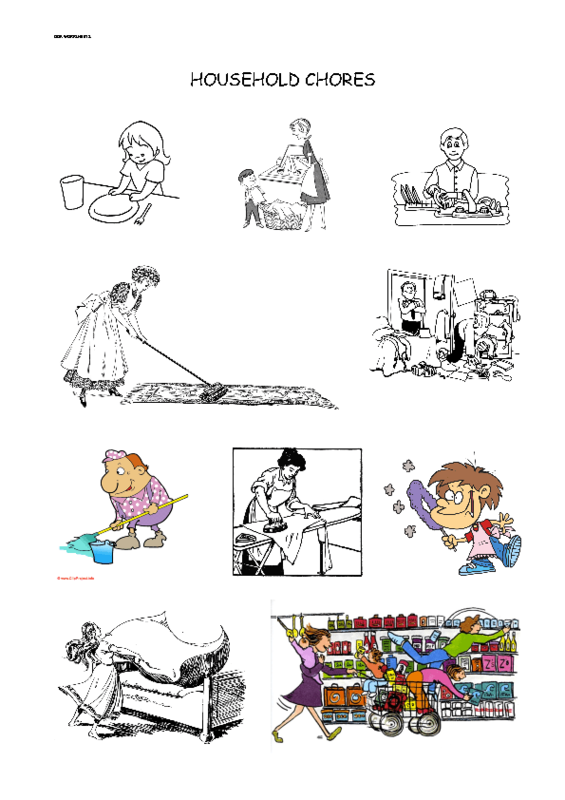 The first page contains pictures of people doing various chores. Learners can write the names of the household chores or cut those that are to be found on page 2 and stick them below the suitable picture. Learners are also given a chance to write simple sentences about household chores that they/their family like/hate doing.